ONCE the dust of the May election settles down and the politicians have worked their way through the complications of d’Hondt, a new Minister of Education will arrive in his or her office in Rathgael House with a formidable pile sitting in their in-tray. Having dominated the news headlines for so many years, educational controversy has been somewhat in abeyance in recent months, but this is a consequence of a tired stand-off between the protagonists rather than an outbreak of consensus. The key issues remain steadfastly in place, not least of which is the vexed question of academic selection. The outgoing Minister declared the battle won some time ago and persists in the claim that academic selection is a thing of the past. The St Andrews Agreement means, however, that she is unable to render academic selection illegal, so we have ended up with not one, but two unofficial testing systems mediating entry to grammar schools. Both systems remain clouded in mystery: we do not know who organises or validates them; and we do not know whether they have weakened or exacerbated the gross social bias in the older, discredited system. Perhaps the sole advantage of parallel testing systems is that a comparison of the performance of pupils who take both would provide a simple reliability-check. But, it seems, we are denied even that basic information. There was one attempt by four of the main political parties to seek educational expertise for fresh ideas, but that process seems to have run into the sand with little new to offer. Clearly, dealing with this issue will be close to the top of the ‘must-do’ list for a new Minister, but there is little evidence of innovative or creative thinking on the issue. Academic selection may be the most obvious thorn in the education briar-patch, but it is not the only one. Amazing though it may seem, the impasse over the Education and Skills Authority has the potential to do even more lasting damage to the education system in Northern Ireland. The rationale for ESA was straightforward: there are too many schools, but rationalisation is difficult, if not impossible, due to the diverse patterns of ownership and responsibility. Furthermore, the development of a clear strategic direction for the system is constantly held hostage to special interests. Rumour has it that a variety of comprise solutions have been explored over the past couple of years, but none seems to have achieved any traction. As things stand, the Education and Library Boards limp on, in increasingly skeletal form, and with diminishing credibility and authority. It is difficult to comprehend how Board officers, most of whom have devoted the best parts of the careers to education, can maintain any sort of positive morale in the twilight existence that has been forced upon them. The problems will mount as the funding cuts start to be felt in earnest. It is repetitious, but accurate, to say that there are too many schools and some means has to be found to rationalize the system, on the grounds of economic and educational efficiency. We still have one of the most unequal patterns of performance outcomes in the OECD (Organisation for Economic Co-operation and Development) and, despite the rhetoric of ‘every school a good school’ it is hard to discern any concrete action aimed at eradicating this most fundamental weakness in our system. It is five years since George Bain’s review of the schools estate highlighted the massive variation in curriculum offering provided by schools to pupils, but even this finding was a replication of the earlier review of the NI Curriculum carried out by NFER (National Foundation for Educational Research) which found that the offering provided to pupils was only arbitrarily related to their interest, aptitude or ability. One method for rationalisation is being actively promoted by the integrated education movement and that is, unsurprisingly, the need for more integrated schools. The case seems compelling: most of the over-subscribed schools are in the integrated sector; annually thousands of pupils have to be turned away from the schools; and pupil opinion polls consistently show support for more integration. Furthermore, when asked, most parents say they do not send their children to integrated schools because there is not one locally. A nascent alternative may be available though the Area Learning Communities (ALCs) in which schools are being encouraged to work collaboratively to share expertise and curriculum. In some respects the ALCs are the progeny of ‘Burns’ and ‘Costello’, with the top-down structure of the Burns Report collegiates married to the entitlement framework as promoted by the Costello Report. In practically all cases the ALCs also contain the positive option of cross-sectoral collaboration between controlled, maintained and integrated schools or even, dare one say it, the option of grammar and secondary schools working together for the common good. The Sharing Education Programme suggests that collaborative engagement between schools can lead to a rich set of interconnections, all of which significantly benefit pupils and teachers, but whether this lead will be taken up by the education system qua system remains to be seen. All of which makes it disappointing, if not bewildering, that cuts have been applied to the entitlement framework. Nevertheless there may be some grounds for optimism. The Cohesion, Sharing and Integration (CSI) proposals from the Executive appear to have received a highly critical reception during the consultation and it remains to be seen whether their education equivalent, CRED, has received a similar response. But teachers and pupils on the ground seem to have engaged positively with the opportunities for collaboration and cooperation: perhaps our young people do see themselves as architects of a better future and are less constrained by fear than their parents’ generation. The experience of some of the ALCs, the achievements in shared education, and the successes of integrated education may represent the flowering buds of a shared and better future within which a new Minister may find innovative routes to tackle some of the long-standing challenges in education. Of course the requirements of community designation in the Assembly, petitions of concern and consensus decisions remain as significant barriers to a truly agreed and shared programme for government, never mind an agreed and shared programme for education. 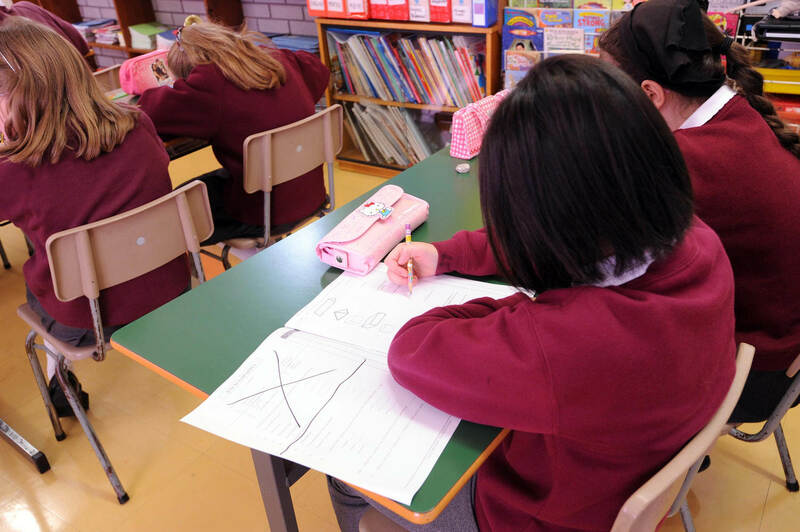 This has led some, particularly in the integrated education movement, to call for a new commission to review the system and bring forward recommendations for the future. Personally I doubt the efficacy of such an approach: after all, over the past decade we have had endless commissions, reviews, reports, investigations and recommendations, and still the politicians have backed themselves into (different) corners of their own making. The bottom-line is that our politicians must be prepared to put energy into seeking genuine consensus, and inevitably this means they must be prepared to forgo preferred positions in favour of one which will command cross-party support, and cease using schools and children as an ideological battle-ground. It might be as simple as putting them into a room until agreement can be reached. Many years ago a conclave to elect a new Pope was going on interminably with little or no prospect of a result, so it was decided to stop sending food into the meeting, and a new Pope was soon elected. Is there a lesson there? Prof Tony Gallagher authored this article in a personal capacity. He is Pro-Vice Chancellor at Queen’s University, Belfast and director of the Sharing Education Programme. He is also the co-author of a key report on academic selection. Corporation tax – why all the fuss?